Thank you for attending NSDI '19! As part of our commitment to open access to research, the full proceedings are free and open to the public on the NSDI '19 technical sessions page. Presentation slides are posted as we receive them, and the video and audio recordings will be available soon. Organized by the P4 Education Working Group and the Cornell-Princeton Network Programming Initiative, the P4 Hackathon aims to develop novel, proof-of-concept data plane applications, and to support the open-source community through the development of tools and infrastructure. The hackathon is intended for P4 users of all levels—from beginners to experts. For more information, see the event's web page. USENIX offers several discounts to help you to attend NSDI '19. 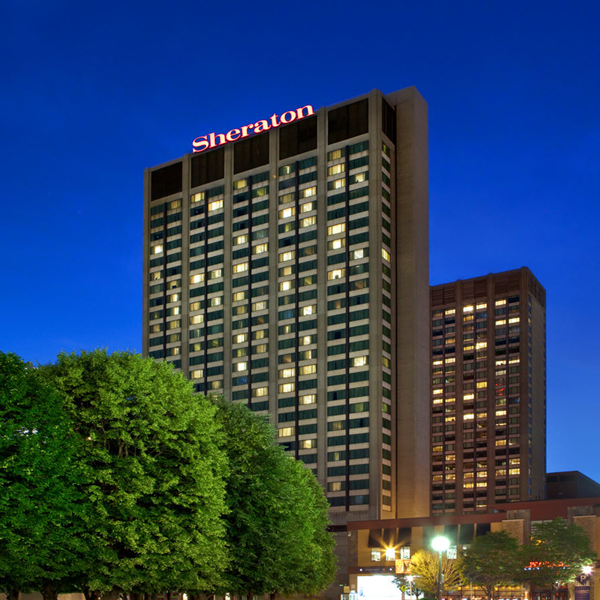 USENIX has negotiated a special room rate of US$199 plus tax for single/double occupancy for conference attendees. To receive this rate, book your room online or call the hotel and mention USENIX or NSDI '19. The group rate will be available until Monday, February 4, 2019, or until the block sells out, whichever occurs first. After the hotel discount deadline has passed, contact the hotel directly to inquire whether rooms are still available.